We design high impact custom trade show exhibits that get the show floor buzzing about your brand. 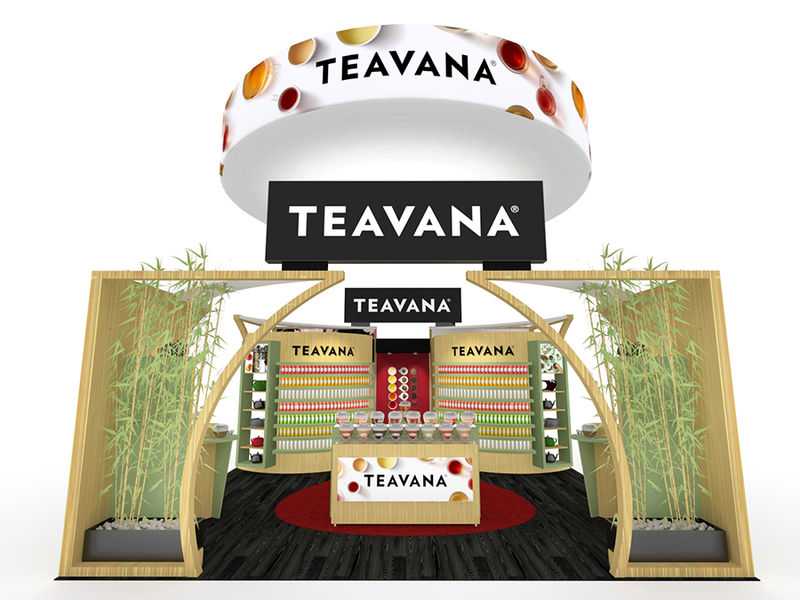 Our experienced in-house design teams can quickly and creatively produce a custom trade show exhibit solution that creates a buzz about your brand and increases booth traffic.With a custom trade show exhibit, the possibilities are endless and the potential is limitless. These unique custom exhibits offer the very best of all worlds -- the high impact, cutting-edge image of a custom display, and the flexibility and value of a modular display. There are so many custom component options to make your exhibit as unique as you would like. If you can dream it, we can build it. Even if you can't dream it, we can! We'll start the process with a comprehensive analysis of your needs and goals and end with a remarkable and memorable custom design solution that meets your budget and exceeds your expectations.